When his father met with a tragic death at a dinner organized to mark Panadura Sports Club’s promotion to division I, Dilruwan Perera, then a 15-year-old cricketer, felt his world crashing down on him. Dilruwan had just helped the team win the Division II title and also attended the celebratory function organized by the club. But jubilation quickly turned into a family tragedy when his father drowned in the swimming pool. While it was heartbreaking, the boy vowed to live his father’s dream for him and become a national cricketer. Today he is a national cricketer and the country’s first choice off-spinner in the Test side. More importantly, he is the first Sri Lankan cricketer to score 7000 runs and take 700 first class wickets. Dilruwan was initially a wicket-keeper bat, then an off-spinner and subsequently an opening batsman before settling down to full-time bowling off-spins. He made his international debut as an opener, playing alongside Sanath Jayasuriya in the fifth and final match of a five-match ODI series against England in 2007. He scored a vital 30 runs which was good enough to consider him for the country’s next tour in Australia–VB series. But his next three limited-over innings during the VB series (1,5 and in Australia did not impress the selectors and for three years after that he did not see a glimpse of the national team. He was once again recalled to the national T20 side as an off-spinner in 2011. But after just three matches, he was given a long break before returning to the Test side in 2014. Even though he was picked as specialist spinner alongside Rangana Herath, it was with the bat that he made his first impression. Dilruwan missed a great opportunity to become the first Sri Lankan to score a century on debut outside of Sri Lanka, something he regrets even to date. He was out for 95–the highest first innings score for Sri Lanka–in the match against Pakistan in Sharjah. 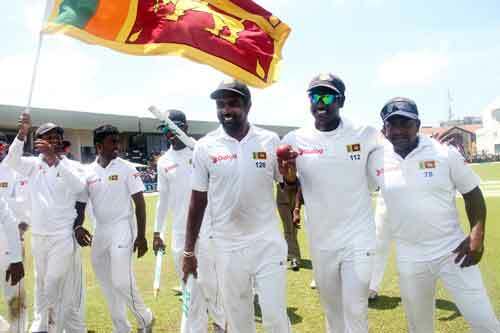 Since then Dilruwan has been Sri Lanka’s number two Test spinner behind Rangana Herath–the current leading left-arm wicket taker–and together they have led Sri Lanka to many a great victory. 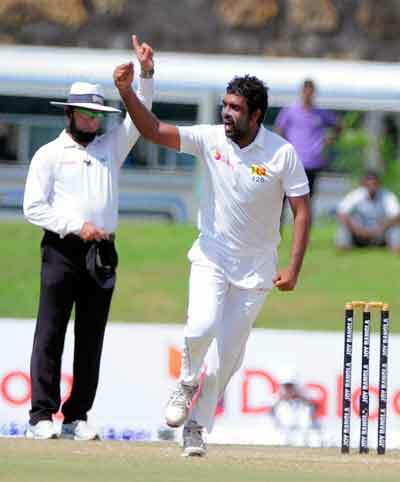 He became the fastest Sri Lankan to reach 50 wickets and also 100 wickets. In 2016, he claimed a piece of history when he led Sri Lanka to crushing series win over the then number-one ranked Australia in Galle as Sri Lanka recorded a 3-0 win over Australia. He picked up 10 wickets for 99 runs in that match, including six in the second innings, to become the first Sri Lankan cricketer to take ten wickets and score a half century. He made 64 in the second innings to put the team firmly in control.